Glass is ever a humbling medium. 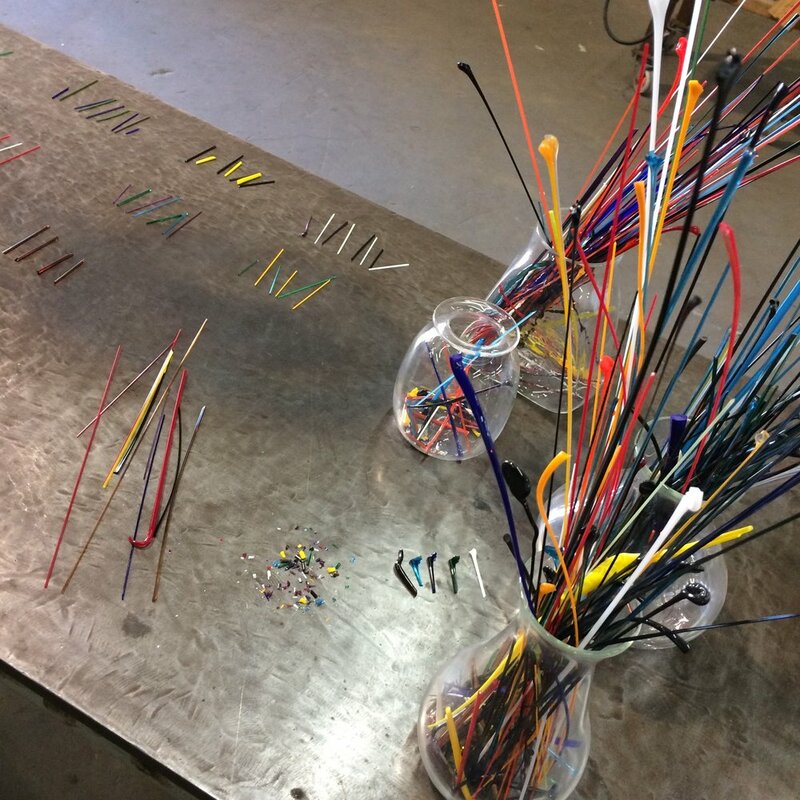 There are countless ways a piece can go wrong before it goes in the annealing oven. In the safety of the annealing "box," unseen stresses on your glass or a piece near it can cause damage. Once it's finished and out in the world, glass is fragile no matter how sturdy I try to make it. And just when you're feeling confident in your process, gremlins attack "the box" and an evening's work on vases results in puddles of glass. Will have to try these again next time.